Born Clara Lardinois in Liège, Belgium, she studied under Mathilde Marchesi in Paris. 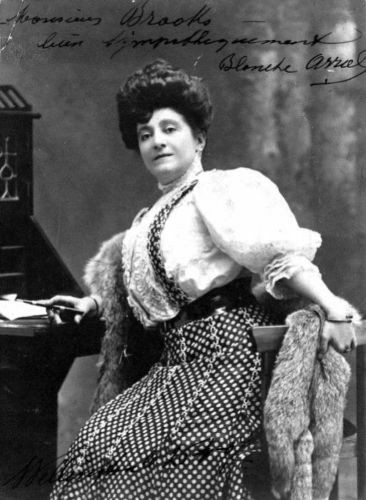 In 1883 she began her career (under her real name) at the Opéra-Comique in Paris. Here she made her debut as Anita in ‘’Le portrait de Cervantes’’ of Dieulafary. She sang there small roles, appeared also in the premiere of J. Massenet’s ‘’Manon’’ (19. 1. 1884). Later she performed in various opera houses in Brussels, Paris and St. Petersburg before moving to the United States. In 1901 she was with a touring company in Indochina, while waiting for the 1902 Exposition of Hanoi to open, performing at Haiphong and the Hanoi Opera House. She joined the Metropolitan Opera for the 1909–1910 season. Unexpectedly in 1935 she gave some concerts on the American broadcasting company on which she herself commented and told numerous anecdotes from her career. Later she lived in New York.